In his Pastoral Epistles (1 and 2 Timothy and Titus), the Apostle Paul argues very compellingly that ?sound [i.e., healthy] doctrine? produces godly living. The two are thereby inextricably linked. Paul exhorts his two protégés?Timothy and Titus?to teach their people sound doctrine. This will influence how they live in society, relate to the state and represent the Lord well. Superficial, shallow tidbits of religious information are not sound doctrine. Strong, expository preaching and teaching are how people learn sound doctrine. There is no other way for this to be done. Therefore, it is especially disturbing for one of the key leaders of 21st century evangelicalism to model just the opposite of what the Apostle argued nearly 2,000 years ago. Why does Osteen represent the shallow, superficial Christianity that is the exact opposite of what Paul represented? ?Part of our core message is that seasons change, and when you believe, if you don?t get bitter, and you don?t get discouraged, you may not change overnight, but you can have peace.? ?People need to be reminded that every day is a gift from God, and bloom where you?re planted and be happy where you are, and to make that the choice to get up every day and be grateful.? ?I believe that [Mormons] are Christians. . . . I don?t know if it?s the purest form of Christianity, like I grew up with. But you know what, I know Mormons, I hear Mitt Romney?and I?ve never met him?but I hear him say, ?I believe Jesus is the son of God,? ?I believe he?s my savior,? and that?s one of the core issues.? ?I?m sure there are other issues that we don?t agree on. But you know, I can say that the Baptists and the Methodists and the Catholics don?t all agree on everything. So that would be my take on it.? As theologian Albert Mohler has argued: ?The main point of concern in Joel?s latest comments [on Mormonism] is the lack of any biblical standard of judgment and the total abdication of theological responsibility. He relegates doctrinal disagreements between Christians and Mormons to the status of theological debates between Protestant denominations and then includes Roman Catholicism. . . Comparing any form of Trinitarian orthodoxy with Mormonism is another class of question altogether.? Osteen is a major representative of evangelical Christianity and his comments are reprehensible and theologically wrong. How can he actually say that he represents Jesus Christ? How can he claim to be a preacher of the gospel? Does he really not know what Mormons believe? Is this what he teaches his congregation?there is really no difference between Mormonism and biblical Christianity? What then do Mormons believe about Jesus and about God as Trinity? Mormonism teaches that God the Father was once a man, but became God. He has a physical body, as does his wife (the Heavenly Mother). Mormons deny the trinity, arguing that the Father, Son and Spirit are three separate gods. Mormons likewise teach that it is possible for all faithful Mormons to one day become gods too. Mormonism teaches that Jesus is a separate god from the Father (Elohim) and is the spirit child of the Father and Mother in heaven. He is, therefore, the ?elder brother? of all men spirit beings. His body was created through sexual union between Elohim and Mary. In fact, Mormonism teaches that Jesus was married, as a polygamist, to the two Marys and Martha. His death on Calvary?s cross does not provide full atonement, but does guarantee resurrection for everyone. Further, the LDS church actually defines salvation as exaltation to godhood, which can only be earned through obedience to LDS leaders, Mormon baptism, tithing, marriage (which they believe is eternal) and secret temple rituals. Using 1 Corinthians 15:29, the LDS church also teaches that present day Mormons can be vicariously baptized for their ancestors, who will then be ?saved.? For that reason, Mormons spend a great deal of time studying their family?s genealogy so that they can be baptized in their place. Joel Osteen magnifies the superficiality of 21st century evangelicalism. If he really does not know the difference between Mormonism and biblical Christianity, he should be ashamed of himself! He represents a Christianity ?lite,? which seeks not the gospel, but a ?feel-goodism,? which bears no resemblance whatsoever to what Jesus taught or commanded. As a leader, he should take a strong stand for sound doctrine and the distinctive theology of genuine, biblical Christianity. He has not done so?and in that is his shame. See, this is the problem. You guys are so critical of Joel Osteen that you overstate your position. For instance, your statement implies that Joel Osteen’s “Shallow, superficial Christianity” promotes UNGODLY living since it is the “exact opposite of what Paul represented.” Is the Dr. in front of your name a Colonel Sanders sort of thing? I agree with what Albert Mohler stated. ?The main point of concern in Joel?s latest comments [on Mormonism] is the lack of any biblical standard of judgment and the total abdication of theological responsibility. He relegates doctrinal disagreements between Christians and Mormons to the status of theological debates between Protestant denominations and then includes Roman Catholicism. . . Comparing any form of Trinitarian orthodoxy with Mormonism is another class of question altogether.? 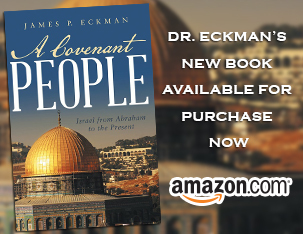 Dr. Jim Echman writes: ” The two are thereby inextricably linked. Paul exhorts his two protégés?Timothy and Titus?to teach their people sound doctrine. ” and then goes on to critique on other peoples teachings…Joel Osteen and Mormonism, I find it important to point out that what Echman wrote about mormons was less than accurate or “sound”, for those reading this lost little nugget in the inter web, note that if you interested in learning- go to the source… Joel, or the Mormons- Dr. E. is caught up in the gospel of Critique chapter 2 vs 9…boring.